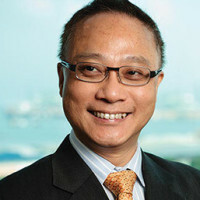 Eddie Chau formed Brandtology in 2008 after successfully incubating e-Cop, a company he founded in 2000, to a market leader in Info-Security Industry. e-Cop was acquired in 2007 by a wholly owned subsidiary of Temasek Holding Pte Ltd.. In 2014, Eddie co-founded Spini, a marketplace for Sales Professionals to get crucial information for sales opportunities from the crowd. In 2013, Eddie founded Neeuro to develop products that empower people to live happier, healthier and productivity through the use of neuro-technology and gamification. In 2011, Eddie co-founded V-Key with a key objective to make all mobile devices and applications more secured with cutting edge patented technology. In 2014, Ant Financial, a unit of Alibaba led a Series B investment round in V-Key. In 2012, Eddie co-founded TNF Ventures with several ICT entrepreneurs and venture capitalists, to incubate early stage ICT start-ups. Before founding Brandtology and e-Cop, Eddie held senior positions in IBM and Computer Associates Inc.. Eddie has also appeared as the investor/judge in Startup Asia Seasons 1 & 2 by Channel News Asia. During his leisure, Eddie enjoys a quiet walk to the nearby Botanic Garden. He finds such walks therapeutic and helps him to sort out his thoughts. Eddie also appreciates the finer things in life such as wine and whisky. Just like he has a good nose for wine, Eddie is also able to sniff out a good venture.